Comparing heaven with paradise. 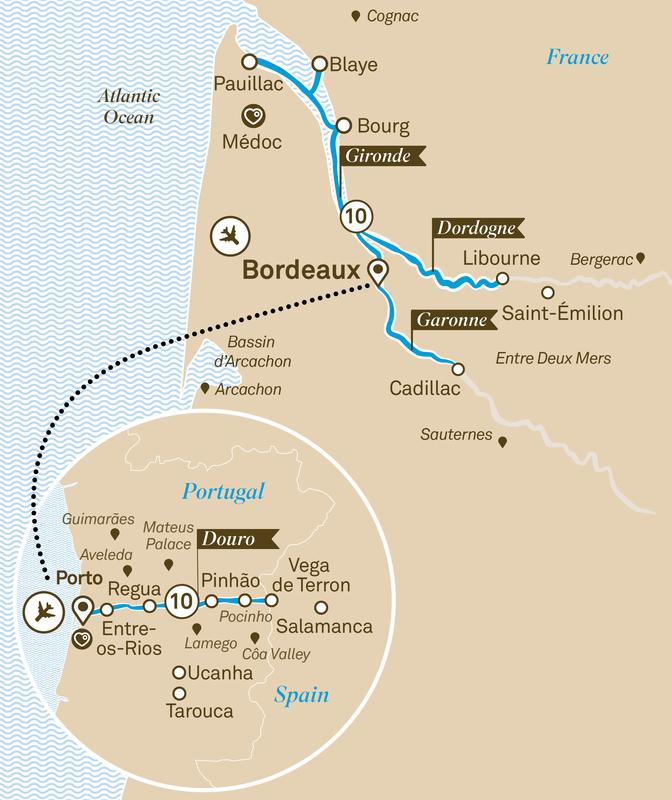 Explore one of the world’s most celebrated culinary regions, beautiful Bordeaux, before discovering the hidden gem that is Portugal.. There’s plenty to tempt between beautiful Bordeaux and the delightful Douro Valley. Some will opt for the seasoned sensuality of Bordeaux, with its incontestable reputation as a wine producer and the central place it occupies in the history of Western culture. Others will choose picture-perfect Portugal, with its wonderful port wines, splendid rural vistas and a history every inch as absorbing as any in Europe. A hard choice for any discerning traveller. Of course, with this itinerary, you don’t have to.